What is in a test? DNA is a growing field of science, and new evidence is coming to light every day about the meaning of specific tests and the implications to help guide lifestyle choices. In this blog, we reveal the research behind a dietary DNA test, so you have all the insights needed before making a purchase. The FTO gene: Testing of the FTO gene is an important indication of an individual’s ability to feel full and is linked to obesity risk. The PPARG gene: Testing of the PPARG gene can reveal if an individual has a reduced, moderate or normal conversion of excess energy into fat. The APOA5 gene: Testing of the APOA5 gene reveals an individual’s likelihood to have an increased risk of elevated triglyceride levels, associated with heart health. The LIPC gene: Testing of the LIPC gene indicates how your body regulates naturally occurring cholesterol. 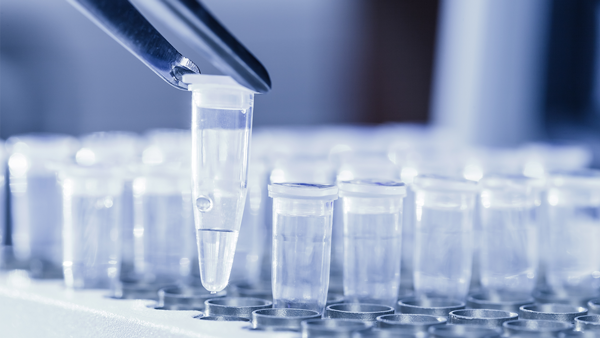 We use a team of genetic scientists, dieticians and genetic counsellors to carefully review and filter through the latest scientific literature, evaluating the evidence available and only proposing tests which we feel have evidence justifying their use. Only providing insights based on international evidence and peer reviewed published studies (and we include a list of references in our reports). Offering our customers an opportunity to speak to our experts directly to better understand their results (by calling 1300 436 373). Specialising in specific sets of genes that offer insights to support diet and lifestyle decisions, and we don’t offer tests relating to specific disease risk or cancer that can’t be prevented. The evidence we report on is based on several peer reviewed published meta-analyses (the statistical procedure for combining data from multiple studies) that study the effect of the four genes on your body. This is then evaluated against a special myDNA rating scale that identifies the level of evidence available and the resulting causation and treatment. The rating system (located below) is based on the Oxford Centre for Evidence Based Medicine-Levels of Evidence scale and has been modified by myDNA to apply to genetic testing. Putting the ratings system into practice; For example, FTO gene findings have an evidence rating for risk of 5-stars. This is based on the level of case controlled, cross sectional and cohort design studies that lend to the body of evidence available, proving the findings to be at an extremely high level. While the evidence rating for diet is 4-stars, the second highest level of evidence, and is based on a randomised controlled trial over two years. As further studies are conducted, it is expected that the evidence rating for diet will progress to being 5-stars. myDNA constantly keep up-to-date with the latest genetic findings and their implications for health and wellbeing. The most interesting part of DNA test results – unlike other pathology results, like a blood test – is that they have lifelong relevance. Your genes don’t change, so knowing how your body responds to different things remains the same over time, and as your health needs change, different aspects of your DNA can become more relevant. We suggest, before making dramatic changes to diet or lifestyle, and if you have any relevant medical conditions, that you consult your doctor or relevant healthcare professionals to help guide your choices. *We recommend consulting your healthcare professional before starting a new diet.